Many individuals in today's society look for flexible ways to earn a little more money while choosing their own schedule. Lyft is a transportation network company, or TNC, that offers this opportunity in the United States and Canada. The company develops, markets and operates the Lyft mobile app. The majority of drivers for Lyft do so in their free time to supplement their incomes. 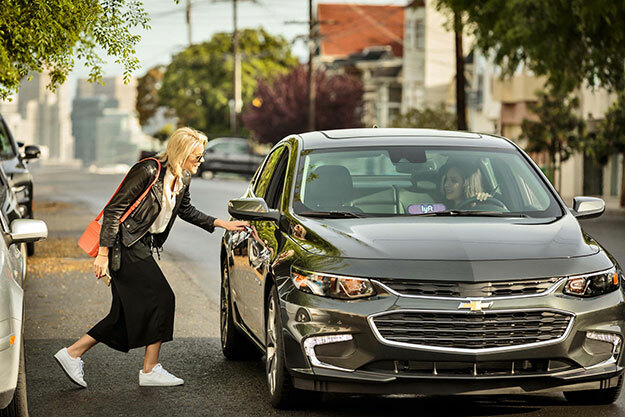 "We see the future as community-driven, one in which car ownership is optional, where cities are designed for people instead of cars, where traffic disappears," said Darcy Yee, a Lyft communications director. Lyft will take part in Northwest Military's Dream Big Career and Education Fair, Saturday, April 13, from 9 a.m. to noon at the LeMay Marymount Center in Spanaway. Founded in 2012 by Logan Green and John Zimmer with the intent of improving people's lives through an outstanding transportation network, Lyft is available to 95 percent of the American population and provides over one million rides daily. "Lyft is committed to effecting positive change for our cities by offsetting carbon emissions from all rides, and by promoting transportation equity through shared rides, bikeshare systems, electric scooters, and public transit partnerships," continued Yee. She also pointed out that many of those seeking flexible employment look to Lyft as an option. "We believe it's our responsibility to make Lyft work for anyone striving to provide for themselves and their families," Yee explained. Nationally, nine percent of Lyft drivers are veterans. As proof of its commitment to veterans, Lyft's "Round Up & Donate" program automatically allows riders to round up to the nearest dollar, then donate the difference to the USO (United Service Organization) every time they ride. "We've heard from many drivers that driving for Lyft is a great way for transitioning soldiers to ease back into civilian life with a flexible schedule," concluded Yee. What follows are several sites to visit for more information.